But there is more to Ronald Neame's The Prime of Miss Jean Brodie than just that. It shows the determined nature a person can display when encountering certain people. (This is practically Miss Brodie's modus operandi.) It also shows how even strong-willed people can be weak behind closed doors. Alas, this is also the main flaw of The Prime of Miss Jean Brodie. From what I read, Neame didn't read Muriel Spark's novel, which is quite different from the film. (Likewise with the stage adaptation released before the film.) It's not too severe of a difference but it is noticeable. 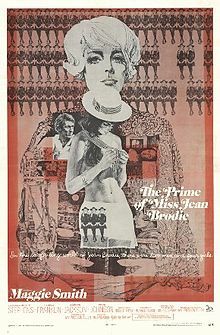 All in all, The Prime of Miss Jean Brodie is a decent film. Nothing extremely remarkable (Smith and Franklin aside) but it has its moments. It's certainly a film worth seeking out. When you've been making films for decades, it can be hard to adapt to the changing film movements. (This is why a number of stars from Hollywood's Golden Age didn't fare too well during the New Hollywood era.) But there are those few names that have been thriving since they stepped foot in Hollywood. One such name is Woody Allen. He's been making films since the mid-1960s and he shows no signs of slowing down either. 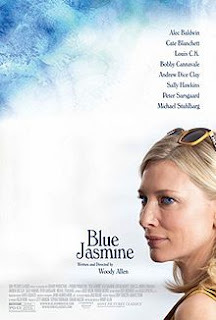 His new film Blue Jasmine proves that within its opening moments. Much like the content in Match Point, what's shown in Blue Jasmine feels rather un-Woody Allen. (That's not a bad thing, mind you.) Instead, it feels like a work from Tennessee Williams. Which is fitting since Blue Jasmine, intentional on Allen's part or not, is very reminiscent of A Streetcar Named Desire. (Also fitting since stars Cate Blanchett and Alec Baldwin were in productions of Williams' play.) Allen and Blanchett take the famed Woody Allen persona (the neurotic lead) and, rather than have it played for laughs, give the role a much more realistic edge. As Allen often does with his films (Hannah and Her Sisters and Midnight in Paris in particular), he enlists choice actors for Blue Jasmine. Baldwin, Andrew Dice Clay, Michael Stuhlbarg, Louis C.K. and Peter Sarsgaard make the most of their brief screentime. Sally Hawkins and Bobby Cannavale also add to the A Streetcar Named Desire allusions. But this show belongs to Blanchett, who will (hopefully) get nominated for her work. Allen has had his fair share of cinematic ups and downs throughout the years, and Blue Jasmine is one of his ups. (A step up from his last film, don't you think?) This may go down as one of Allen's best films and Blanchett's best performances. This is a film that'll be on my Oscar ballot. It isn't long before Bina (Aasha Davis) walks onto the scene. Alike hopes that Bina is the girl she's looking for. But the further she gets into a possible relationship, the more likely Alike will come out to her parents...whether she wants to or not. As with most films, you wonder what the meaning of the film's title is. The explanation for Pariah is a heartbreaking one. Unfortunately for a number of people in the gay community, their families would more or less disown them and consider them worthless human beings if they were to come out. Laura is viewed this way by her mother (and Audrey to an extent). It's doesn't particularly end well for Alike either. Pariah takes the standard coming out story and gives it a more emotionally supportive nature. (Not as angst-ridden as some other films of a similar nature.) Oduye and Wayans bring most of the heft of the film, the rest is from Rees' script. This is an emotionally raw film, so watch it with caution. It's really fascinating to see the starting themes in a director's work. Sometimes it takes a few films before you really see the themes but on those few occasions, you'll see those themes within the first film. Take for instance Richard Ayoade's Submarine. Ayoade, perhaps more recognizable for his work on The IT Crowd, proves himself as a sort of English Wes Anderson. Quirky without being too unconventional, funny without getting too strange. I look forward to what else Ayoade has to offer. 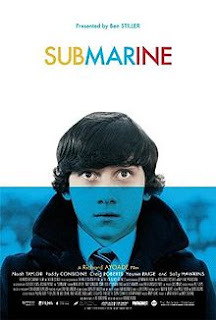 But what is Submarine about? Nothing nautical or naval oriented but rather it's a coming of age story. 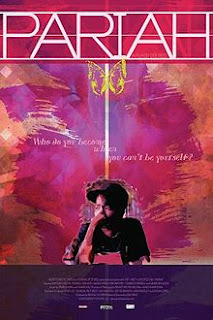 The film revolves around Oliver Tate (Craig Roberts), a young lad trying to win over his classmate Jordana Bevan (Yasmin Paige). He's also trying to keep his parents' marriage intact. The actors are quite good. Noah Taylor, Sally Hawkins and Paddy Considine make the most of their supporting work. But the stars of Submarine are definitely Roberts and Paige. They just get their characters wonderfully. "By the time you read this letter, I may be dead." That is the first sentence from the eponymous letter in Max Ophuls' Letter from an Unknown Woman. 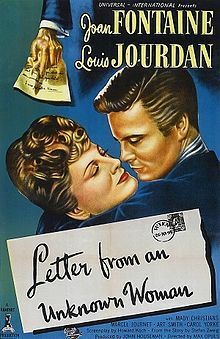 The letter, addressed to pianist Stefan Brand (Louis Jourdan), is from Lisa Brendl (Joan Fontaine), a woman from Brand's past. Making a simple film about romance isn't easy. How can you make a film in this genre without it slipping into melodrama? Ophuls manages to make the melodramatic nature of Letter from an Unknown Woman into an art form, much in the same way Douglas Sirk did in the following decade. In the wrong hands, Letter from an Unknown Woman would be an overwrought attempt at romance. But in Ophuls' hands, it's visual poetry. Speaking of visual poetry, Ophuls isn't the only one who had a hand in it. The combination of Franz Planer's cinematography and Alexander Golitzen's art direction is simply gorgeous. And yet they also provide an ethereal aura for the film as well. It's a nice touch. Letter from an Unknown Woman is one of those films I knew very little about prior to watching and ended up falling in love with. Everything about it just works beautifully. This is one of those films that everyone should see at least once in their lifetime. Seriously, go and see it. 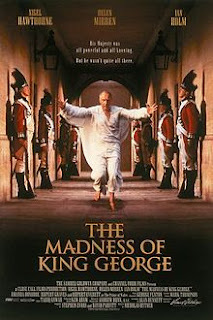 Not long after Nicholas Hytner's The Madness of King George begins, it's established that King George III (Nigel Hawthorne) isn't exactly in the right frame of mind. "It was something he ate!" Queen Charlotte (Helen Mirren) proclaims. But was it simply that? In reality, King George spent the last years of his life blind and with the few remnants of his crumbling mind. But the film (and the play the film is based on) focuses on him during his middle age just as he takes a turn for the worst. (He insists he's "not mad, just nervous.") Everyone can see that something's not right with their king. Enter Dr. Willis (Ian Holm), who was enlisted to aid the ailing ruler. He is a man with a saint's patience, which is essentially required for anyone handling King George's outbursts. Even though everyone (Charlotte in particular) wants the king to recover, the Prince of Wales (Rupert Everett) has other plans. The actors are top notch here. Everett displays a smugness in his Prince. Holm, long before he went to the Shire, holds his own against Hawthorne. Mirren, amusingly cast as another Queen of England, acts as if she too on the verge of going mad following her husband's mental downfall. But the star of The Madness of King George is definitely Hawthorne. Reprising the role he originated on stage, Hawthorne completely makes the role his own, and it is glorious. The Madness of King George is a really spectacular film. Rather than being a straight-up stuffy costume drama, the film is instead a playful stage-to-screen adaptation full of pithy one-liners. When you have the chance, be sure to seek it out. It's rather daring for Hollywood to make a film based on recent events. (Like, within five years of the first headline.) The news are still relatively fresh in everyone's minds but on the plus side, it still provides discussion. It's daring for Coogler to make a film like this especially as it gets released in the aftermath of George Zimmerman's trial. But it makes me wonder: was it Coogler's intent to make a film that mentally provokes its viewers? It certainly feels that way and I have no qualms over it. I have to talk about Jordan's work here. He plays Grant as a young man simply trying to get his life in order. His relationship with his girlfriend is becoming strained, he's trying to be both a good son and father, and he wants to be an upstanding citizen. It makes the knowledge that he's living the last hours of his life all the more harrowing. 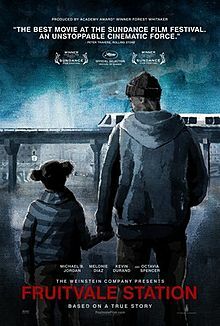 Fruitvale Station is really one of those films that will stay in your mind long after the credits have rolled. It also provides one hell of an emotional punch towards the end. Be sure to see this with an open mind and maybe a few tissues handy. demands equality between men and women amongst the arts. "There aren't enough movies/TV shows directed/written by women!" and "Women deserve to be better written!" are some of the most common cries towards Hollywood. Towards literature however? It's much more tame. Perhaps it is because there have been countless pieces of literature that have an air of feminism. Jane Austen's work has been said to have such themes. (Well, that's what I've been told.) Indeed, many of her protagonists are independent-minded women, so I got curious about what Austen had to offer. 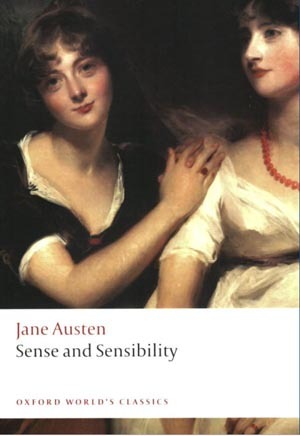 After failing to make a dent in Pride and Prejudice, I opted for her other famed novel Sense and Sensibility. I was taken by Austen's words but like as I did with Pride and Prejudice, it took me a while to fully grasp them. I very much enjoyed the story Austen told even if I did find it a bit long-winded. But which of the two to recommend? 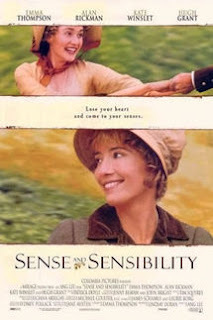 Austen's novel is rather poetic as is Lee's film. But the film is easier to follow than the novel. (At least in my eyes anyway.) So I suppose the verdict is clear then.